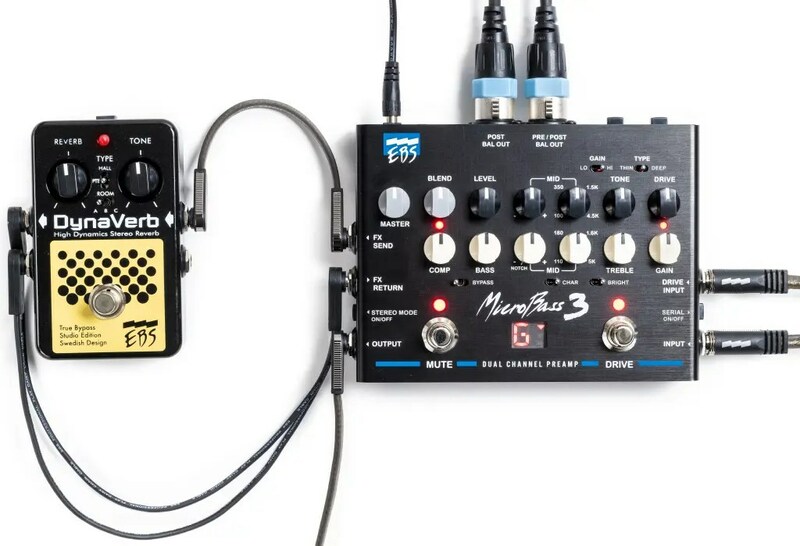 The new, analog, 'multi-tool' for bass players! 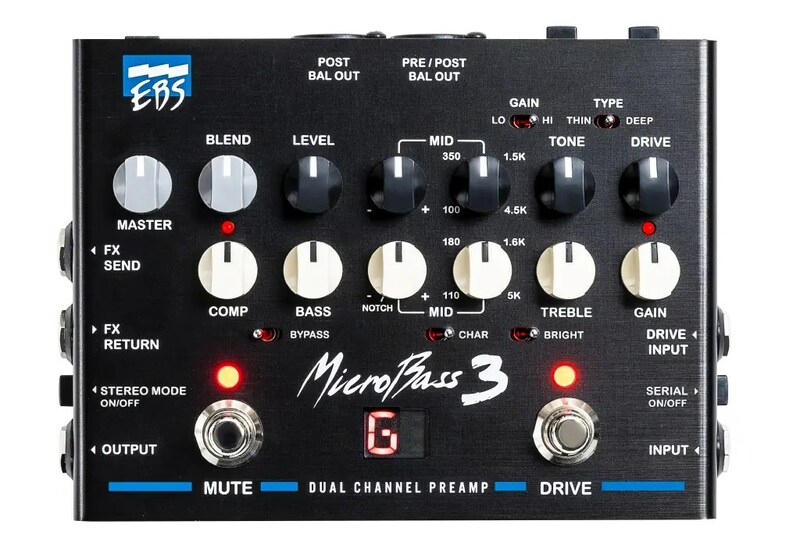 THE EBS MICROBASS 3. WE’VE ALL BEEN THERE. BEING FORCED BY CIRCUMSTANCES TO RELY ON SOMEONE ELSE'S GEAR AND LEFT WITH THAT UNEASY FEELING IT COULD TURN INTO A DISASTER. 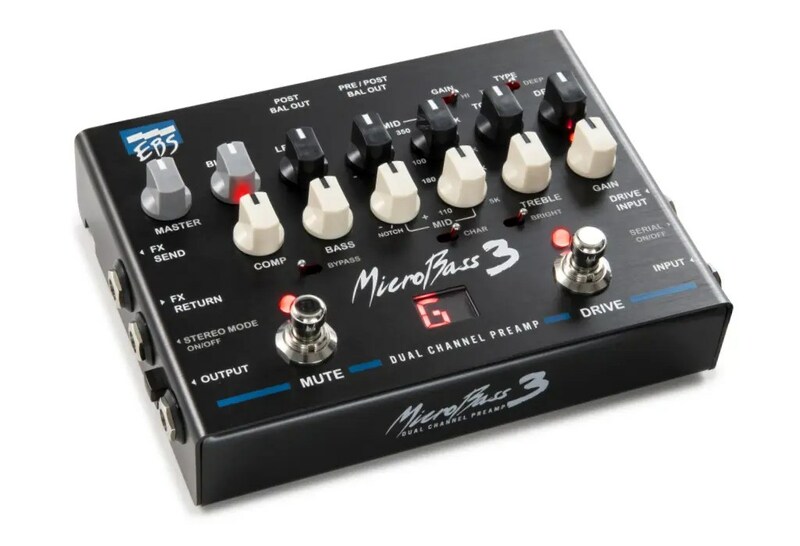 WITH THE NEW EBS MICROBASS 3, YOU CAN LET GO OF THAT FEELING AND BE CONFIDENT YOU’LL HAVE YOUR SOUND NO MATTER THE SITUATION. 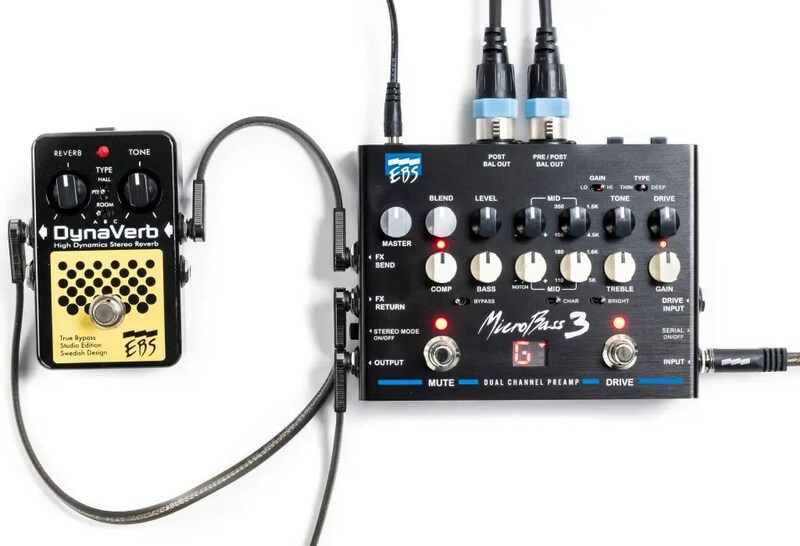 The setup above incorporates an external effect unit into the FX loop. 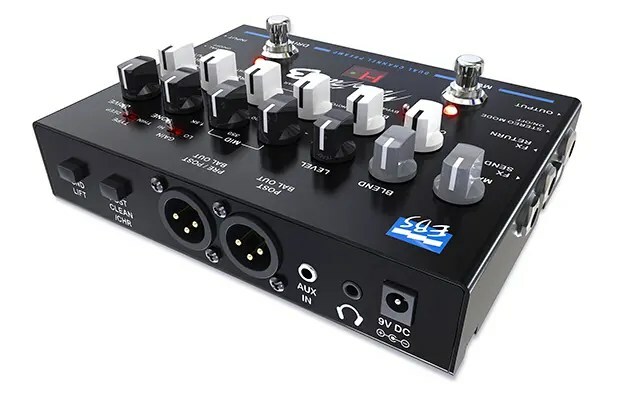 The Dual Balanced XLR-outputs sends one Pre and one Post EQ signal or sends both signals Post EQ for the Clean and Drive Channel respectively, depending on the settings. In the setup above, a Y-split insert cable (EBS ICY-30) is used for the FX Return (and the Stereo Mode Switch is set to 'on'). This will allow stereo effects to be monitored in stereo through the Headphones Output. 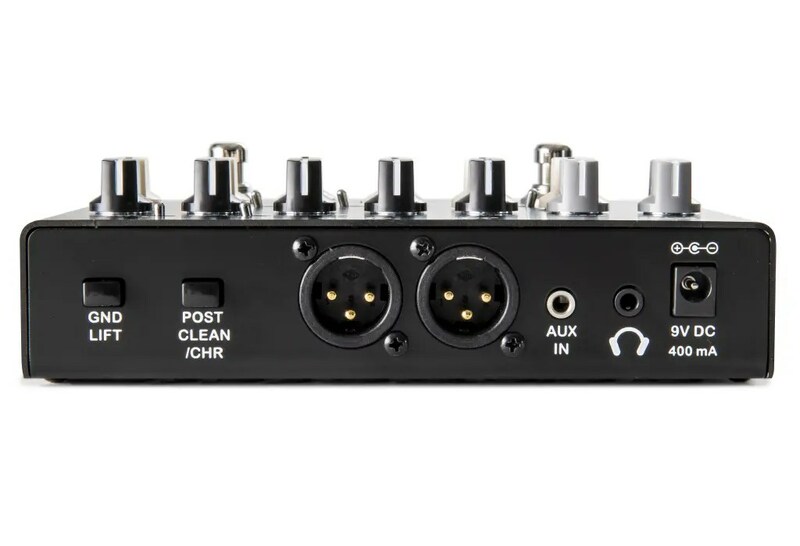 It also turns the two Balanced Outputs into Left and Right (post EQ), so you can record in stereo. 9V DC, 450 mA required (power supply included).